Will Bankruptcy Really Help My Situation? The whole idea behind filing for bankruptcy is so that you can move forward with life. This is what the court describes as a “fresh start / clean slate“. It’s a chance to wipe the slate clean, start fresh and new, and begin to rebuild your life. All the hassles that you’ve had to endure before (like rude phone calls, law suits, wage garnishments, bank levies, etc.) are wiped away in one broad stroke. Another important factor that should be recognized is the reduction of stress that normally accompanies the filing of a bankruptcy. Once the debts are gone, it is like relieving yourself of an enormous burden that had been hanging over your head for years. The creditors can no longer contact you, and you are no longer obligated on the debt. Indeed, most of the clients that I meet with at the initial consultation feel greatly unburdened and start to relax after I have explained everything to them. The choice of whether to file for a Missouri bankruptcy is of course a very personal one. No one can make that decision but you. But the only way to determine if in fact it is the best course of action is to speak with someone who is an expert in the field. 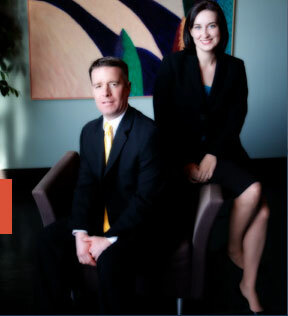 The St. Louis bankruptcy lawyers at Brinkman & Alter, LLC have been assisting clients for years, and have helped thousands of people get back on the road to financial recovery. All our phone calls and office consultations are free of charge.